Mostly clear. Slight chance of a rain shower. Low 52F. Winds SSW at 5 to 10 mph. 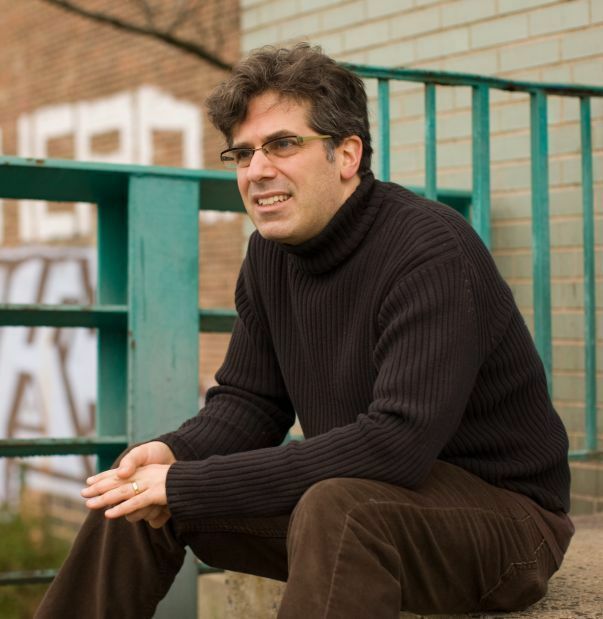 Jonathan Lethem sits on the banks of the Gowanus Canal in Brooklyn. Carol Hanisch is probably best known for popularizing the phrase "the personal is political," after she published her famous (and eponymous) essay. Jonathan Lethem's fine new novel, "Dissident Gardens," is a brilliant exploration of the idea: how politics and political ideas -- and how political identity, especially on the radical ends of the spectrum -- form a pas de deux with the personal. Politics has certainly dominated the personal life of Rose Zimmer, the doyen of New York communism. The book opens with the confrontational meeting in Queens of Rose and her comrades, who are apparently excommunicating her for personal reasons -- she was conducting an affair with an African-American police officer -- but also because in "Rose's lava of disappointment the ideals of American communism had gone to die their slow death eternally." Rose is the fulcrum of her family's political activism, and her departure from the party foreshadows her family's many later frustrations. Each long chapter of "Dissident Gardens" moves back and forth through time and covers a portion of the Zimmer family political struggle. Rose's communism, for example, has damaged her relationship with her daughter, the witty and charming Miriam. The book also touches on Rose's creepy cousin Lenny, a hardline communist who has been in love with Miriam since she was a baby; on Cicero Lookins, the novel's conscience, a professor and the son of Rose's erstwhile policeman lover; on Tommy Gogan, Miriam's husband, a folk singer who has grown "exhausted at not being permitted to set (his talent) aside"; and eventually on the wayward Sergius Gogan, Miriam and Tommy's son. Lethem, an author of nine novels, may be one of the best American sentence writers: his descriptions pop, and he finds endlessly creative ways of describing situations (Cicero, for example, "reinstated his professorial comportment with caffeine"). 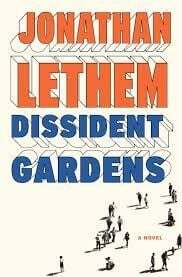 Beyond the writing, Lethem manages a compelling story in "Dissident Gardens," as well, one particularly relevant in the shadow of the recent polarized government fights -- even if the plot, at times, briefly wanders into cliché. Like his Roman namesake, Cicero has a gift for oration. A professor at a small college in Maine, he remixes a lecture on "disgust" -- like "outrage," now overused in political discourse -- with a personal anecdote about caring for his deceased mother, who had lupus. Sergius, in town visiting Cicero, sits in on the seminar but curtly dismisses it as a "sob story." Cicero replies: "What you're disdaining with the word sob is as political as it gets, the passage of exiled sentiment from one subject's body to another's." Politics, Cicero all but says, is merely the "transmission of affect." For all the ruin politics engenders in "Dissident Gardens," it's the transfers of the heart -- real and failed -- that are ultimately behind them. The closest thing to a lesson this novel offers may be a short fortune one character pries from a fortune cookie: "All roads lead nowhere, choose one with heart." Greg Walklin is an attorney and freelance writer.